Philip E. Morris, Sr, of Birmingham, passed away Feb 5, 2019 at the age of 80. He was an active member of The Church at Brook Hills and a participating member of Early Seekers. Philip was a lifetime member of the Sheet Metal Workers, Local Union 48 and in his younger years, a member of the International Brotherhood of Magicians. He was an active volunteer in Hearts in Hands, Inc and The Lovelady Center. Philip was a skilled woodworker, avid golfer, and was known for his beautiful garden. He loved spending time with his grandchildren, great-grandchildren and traveling. He will be most remembered by his generous heart, quick wit, and his willingness to help anyone in need. 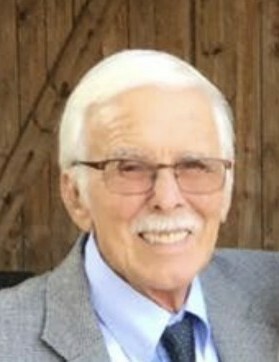 He is survived by his wife of 60 years, Ruby Reams Morris; son, Philip E. Morris, Jr (Michele); daughter, Cindy Morris McDonough (Scott); five grandchildren, Laura Lee Morris Grusin (Adam), Shelby McDonough McClure (Buck), Callie McDonough, Melissa Morris and Cory McDonough; and two great-grandchildren, Elijah Grusin and Samuel Grusin. Visitation will be held on Friday February 8, 2019 from 10 am - 12 pm with chapel service following at 12pm. Burial will be in the adjoining cemetery. In lieu of flowers, the family request donations be made to loveladycenter.org and handinhearts.org.